Expected price of Nokia 7.1 Plus in India is expected to be Rs. 18,100. 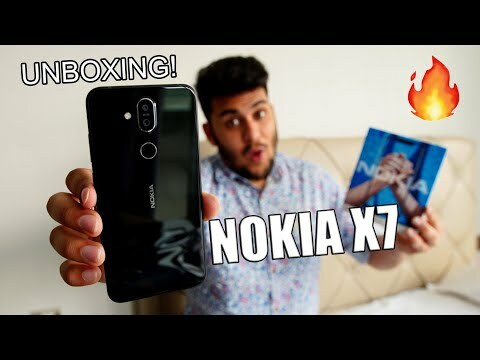 Nokia 7.1 Plus Expected to be launched on 22nd January 2019. The 400GB / 4GB variant of Nokia 7.1 Plus costs around Rs. 18,100 and expected to available in Silver, Dark Blue and Midnight Black colour. The Nokia 7.1 rocks a 6.18-inch Full HD+ display bearing a resolution of 2246 x 1080 pixels. The resolution translates to 403 PPI pixel density producing crisp output. For durability the display is fitted with a Corning Gorilla Glass. The back of the phone houses a fingerprint scanner which is located below the rear camera in the middle. The device houses various sensors like accelerometer, proximity sensor, magnetometer. ambient light & gyroscope. The Nokia 7.1 Plus ships in four color variants i.e. Red, Silver, Black, and Blue. For shutterbugs, the Nokia 7.1 Plus sports a dual camera setup comprising of 12MP Sony sensor and 13MP secondary sensor. The camera unit is accompanied by LED flash. Upfront, the phone features an 20MP shooter for clicking selfies. On the hardware front, the Nokia 7.1 Plus houses a 2.2GHz Qualcomm Snapdragon 710 octa-core processor. For smooth multitasking, it packs 4GB RAM & Adreno 616 GPU. For storing data, this device offers 64GB inbuilt memory which can be expandable up to 400GB via microSD card slot. As for operating system, the Nokia 7.1 runs on Android 8.1 Oreo OS out of the box. Users can expect guaranteed updates since this device is a part of Android One program. The Nokia 7.1 Plus is fitted with a 3400 mAh non-removable battery with support for fast charging. It has dual SIM card slots and supports nano SIM cards. Connectivity-wise, the Nokia 7.1 Plus offers all the basic options like 4G LTE, 3G, 2G, WiFi, Bluetooth & VoLTE for networking.